Product was as advertised and arrived on time.Love your security cameras best of other security store,would come again. 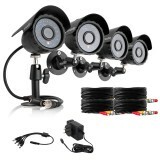 Best cctv camera for home,buy one to increase my home security,then a thief dare not to som eto my home once i have a outdoor camera installed outsite of my home,work so great !! 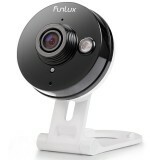 This is the second time that I've ordered security cameras from you. The items are accurately described on website and priced comparably with the same items purchased directly from the manufacturer. The purchaser/user remarks on the site regarding the items re also accurate and helpful (and the Store site maintains both positive and negative remarks about the merchandise).The items all arrived safely and functioned properly. I ordered two ptz cameras for my business use, the packages were confirmed delivered within 2 business days. I got exactly what I had paid for. 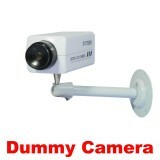 CCTVHotdeas is a leading site of CCTV security cameras for home and business application. In order to help you choose the right best & cheap CCTV camera for your application, we have classified different types of CCTV video surveillance cameras for various situations. 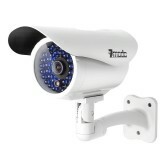 Indoor and Outdoor Cameras: Indoor security cameras are used inside where a weatherproof function is not required. Outdoor surveillance cameras can withstand the bad elements, such as water, wind, rain, snow and even extreme heat without affecting performance. It is good to have a watchful eye for both outside and inside. Night Vision cameras: Night vision cameras allow you to see in complete darkness due to the infrared illuminators built in! 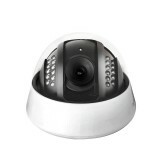 Night vision cameras provide the best picture in low-light viewing situations. High Resolution Cameras: If you want to get clearer images, a high resolution camera with 540 or 650 TV lines of high resolution allows you to record the crispest video image possible from wherever you want. 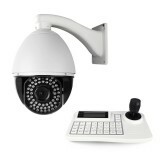 Vari-focal Cameras: You can adjust the lens of the vari -focal cameras to meet your specific surveillance needs! Shorter focal lens will provide you with a wider viewing angle; whereas, a longer lens will allow you to view further. Pan Tilt Zoom Cameras: Just as the name implies, PTZ cameras can move right to left, up and down, and at an endless 360 degree. 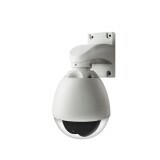 They can be controlled to pan tilt and zoom remotely by a PTZ controller. This type of home monitoring CCTV camera is perfect for applications where a single camera is required for wide area viewing and monitoring, such as parking lots, banks, factories, schools, warehouse storage and public areas. 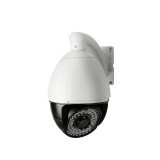 IP Network Cameras: IP network cameras allow you to view live, full motion video from anywhere in the world. These cameras can be almost anywhere. It is an ideal solution for whoever wants to avoid cabling. In additions, the audio cameras, hidden spy cameras and fake security cameras are also three common surveillance cameras which are available at our store.